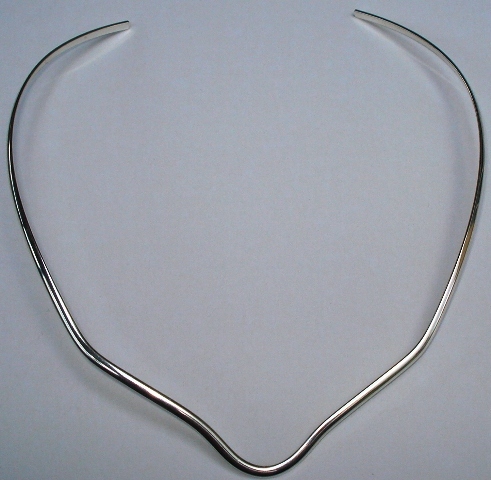 V shaped german silver neckwire. It will bend to fit your neck. Great for pendants. Love this necklace! Goes with any focal bead! Very good quality.